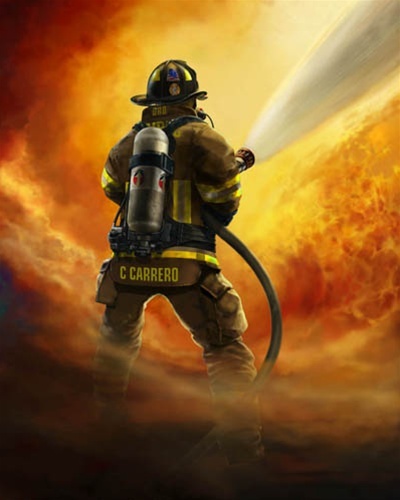 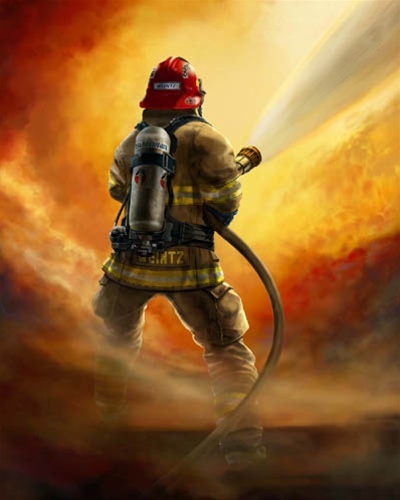 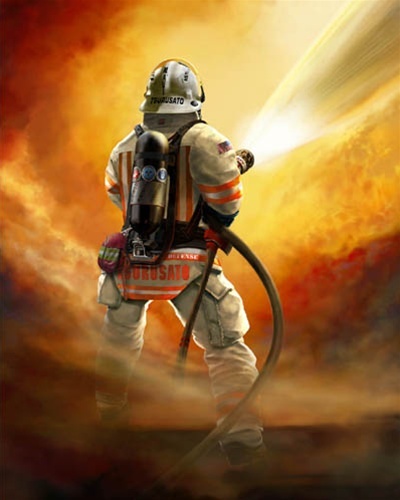 Moment of Truth: is the first personalized work of fine art available to everybody which captures any firefighter in his element with absolute fidelity. No detail is missed. Albaitis will personalize Moment of Truth like you would never imagine. This goes way beyond slapping a last name on an existing picture; the artist depicts each firefighter in exactly his own equipment. 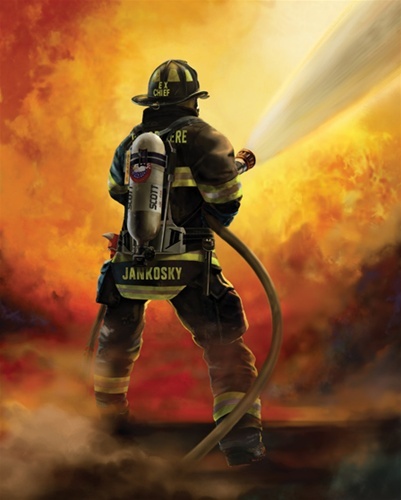 The details are extreme and personal, yet the price is within your reach. 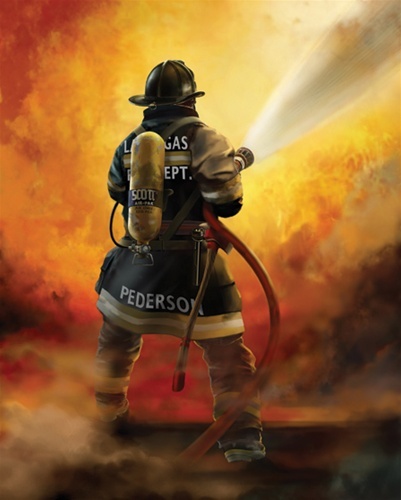 In the final print, every detail of the individual firefighter’s gear is exactly as requested, including the equipment manufacturer, model, style and color. Fine details like reflector shapes and color as well as the department’s identifying marks, the firefighter’s name, favorite tools and even level of scuff & grime, patches and decals are faithfully located on the gear with accuracy.